First, Herkimer "Diamond". Though Herkimer Diamond is actually quartz, its brilliant, transparent diamond-like beauty makes it well suited as an April birthstone. 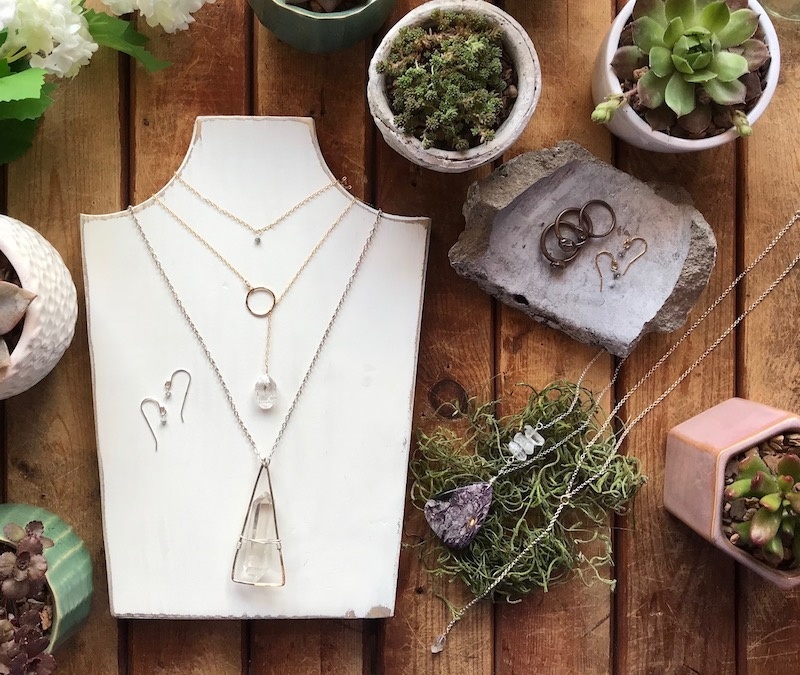 We have a lovely assortment of handmade Herkimer Diamond Jewelry in our collection. Second, our "Diamond Dust" collection. 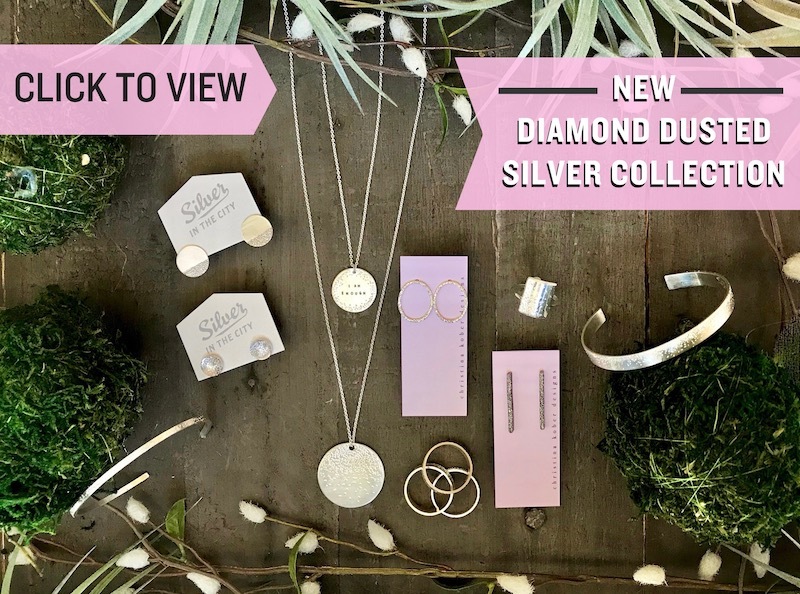 This is a collection of Silver jewelry that has been hammered with diamond points, creating multi-faceted indentations that capture and reflect the light in a manner similar to diamonds. While not containing any Diamonds, it is "impressed" with diamonds, possibly the same way your April birthday guys and gals make an impression on your each and everyday with their strength, clarity and sparkle!